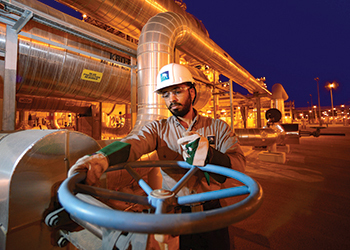 Saudi Aramco has signed a new $10 billion standby revolving credit facilities (RCF) agreement as part of the company’s strategy of maintaining financial flexibility. The agreement replaces the existing $4 billion facilities agreement, which was signed in 2010. • SR11.25 billion ($3 billion) consisting of Murabaha facilities, of which SR7.5 billion ($2 billion) is a five-year facility with two one-year extension options (5+1+1) and SR3.75 billion ($1 billion) is an annually-renewable 364-day facility. The terms of the new facilities reflect Saudi Aramco’s strong credit standing, a company statement said. The margin for the USD Facilities is 12 and 10 basis points (bps) for the five-year and 364-day facilities respectively, while the margin for the $3 billion Murabaha facilities is 11 and 9 bps for the five-year and 364-day Facilities respectively. This pricing sets a benchmark in the kingdom and the region and reflects the banking community’s continuing confidence in Saudi Aramco and Saudi Arabia. The $7 billion tranche participants are Bank of China Limited (London Branch), Citi, Deutsche Bank, HSBC Bank Mid-dle East, JPMorgan Chase Bank (Riyadh Branch), Standard Chartered Bank, Sumitomo Mitsui Banking Corporation (SMBC), and The Bank of Tokyo – Mitsubishi UFJ as book runners and mandated lead arrangers; BNP Paribas, Crédit Agricole, Mizuho Bank and RBC Capital Markets as lead arrangers; and Abu Dhabi Commercial Bank, ANZEF Limited, Gulf International Bank, National Bank of Abu Dhabi, National Bank of Kuwait (Jeddah Branch), The Northern Trust Company, and Societe Generale Corporate & Investment Banking as Arrangers. Riyad Bank was selected as both the global facilities agent and murabaha facilities agent, while The Bank of Tokyo-Mitsubishi UFJ was selected as the USD facilities agent.